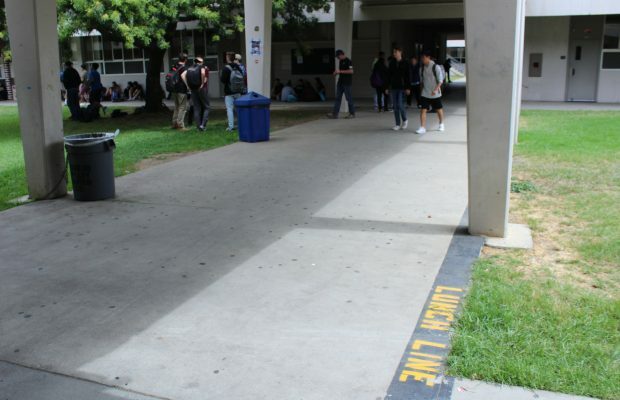 This year, school administrators are enforcing a lunch boundary policy, restricting students from eating lunch behind the B, C, D buildings and on the second floor. The staff wanted to keep the students in one area, due to the need of more supervisors. The boundaries make it easier to manage students and at the same time still provide them with a shady place to sit. According to Steve Lepire, principal, the boundaries also help keep noises down as low as possible near classrooms. “We have the learning centers at lunch; teachers and tutors are trying to help a kid and this keeps the distractions down as much as possible to those people that are looking to get help,” Lepire said. According to Wutkee, students have been very cooperative and understanding of this new policy. With combined efforts, supervising has been made easier for the staff, while students can still enjoy their lunch.